As highlighted by a recent news report, it seems like Tucson is becoming a hotspot for hit-and-run accidents resulting in serious personal injuries. The most recent incident involves a lone pedestrian who was struck while enjoying an evening stroll near North Oracle and Prince Roads. The driver of the vehicle, reported to be a green-colored 2000 to 2005 model Ford Mustang, fled the scene after striking the pedestrian on the shoulder of the road. Witnesses were unable to observe the fleeing vehicle’s registration number. Fortunately, the seriously-injured victim is expected to survive. Authorities are asking for the public’s help in locating the Mustang and its driver. It seems likely that this hit-and-run offender had plenty to hide. In most cases where drivers leave the scene of an accident, it’s because they’re drunk, drugged, driving uninsured, or fleeing after an earlier crime. This most recent case illustrates the need for better education and better enforcement of existing laws. Over the past few years, Tucson and Pima County have been the site of numerous traffic accidents in which the responsible parties left the scene. It doesn’t help that the nearby border with Mexico creates a constant flow of vehicles from other jurisdictions where driving rules and safety regulations are often poorly enforced. Worse, if a hit-and-run driver is an undocumented resident, he or she may have plenty of incentive to simply leave the area. Police and other authorities are generally doing their best to identify and apprehend hit-and-run drivers. The majority of hit-and-run drivers are quickly caught and prosecuted. Still, much more needs to be done to protect local residents. If you or a family member has suffered a hit-and-run accident, you need a strong legal advocate to protect your rights. 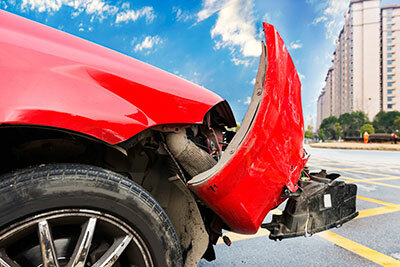 Bob Barber is Tucson’s leading personal injury attorney. He can help determine the factors which led to the accident, hold the responsible persons accountable for their actions, and work to win the financial relief that you deserve. Take the first step toward recovery by calling the Bob Barber Law Firm at 520-293-4440.